Please click on this link to be directed to the Events page for more detail results and photos!! 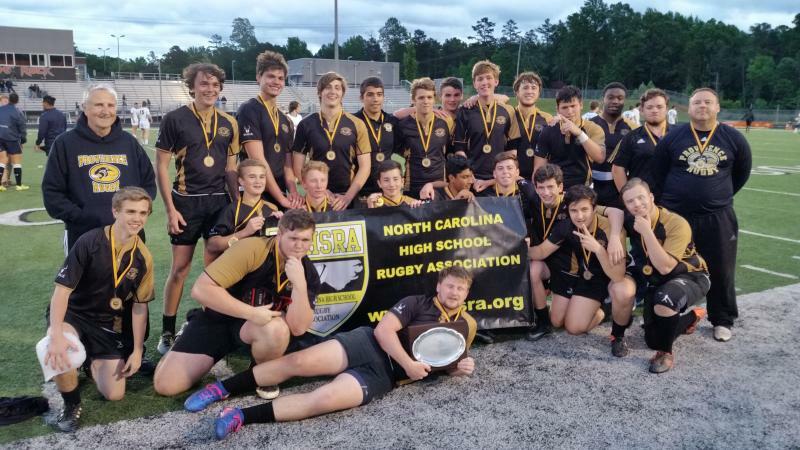 Congratiulations To The ﻿2017 Cup, Plate and Bowl NC Single High High School Rugby Champions!! 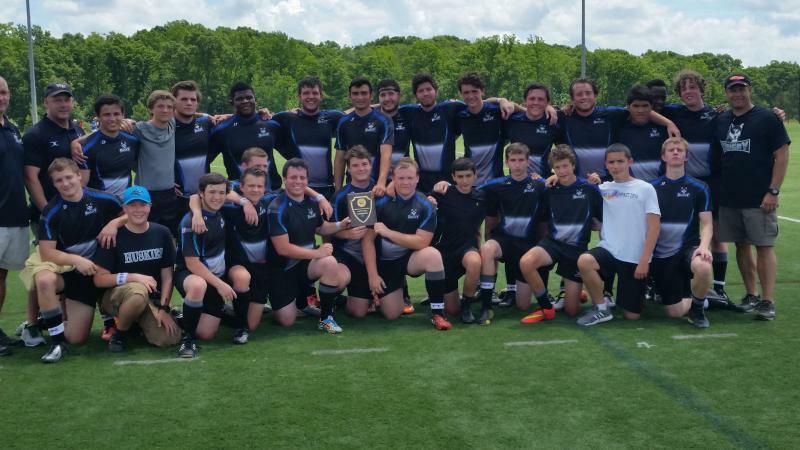 Congratulations To The 2016 Cup and Plate NC Single High School Rugby Champions!! 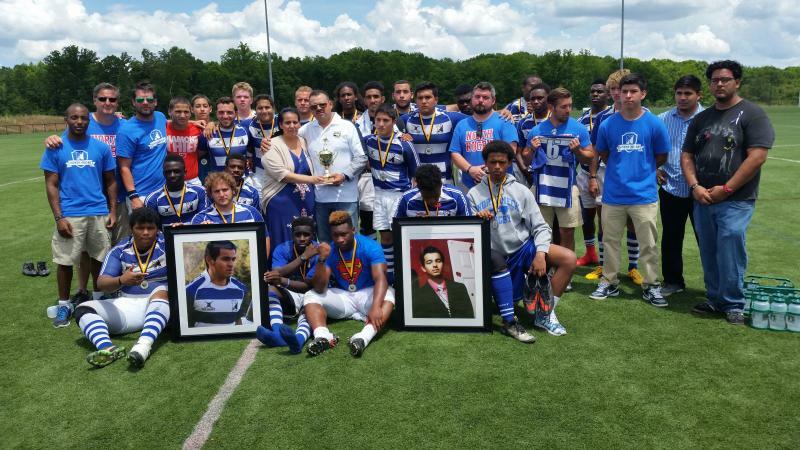 NCHSRA and the entire rugby community send our condolences to the family and teammates of Marcos Hernandez (North Meck High School rugby player) who tragically lost his life on Tuesday, 26th May, 2015. Our thoughts and prayers are with you. 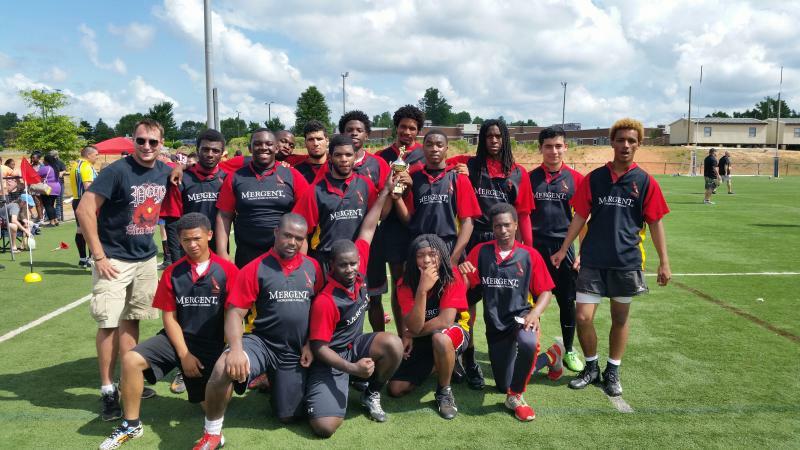 In honor of Marcos, North Meck participated in the NCHSRA Championship game on Saturday, 30th May, 2015. That story ﻿HERE﻿! If you are interested in viewing or ordering a copy of the recorded video stream of all, or some of the games, please login HERE!! 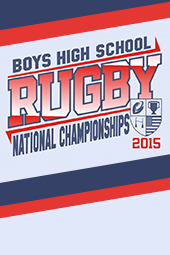 To find the final scores from the Boy's High School National Championship, click HERE!!! NCHSRA is proud to bring this popular and ever-growing event to Charlotte, NC. 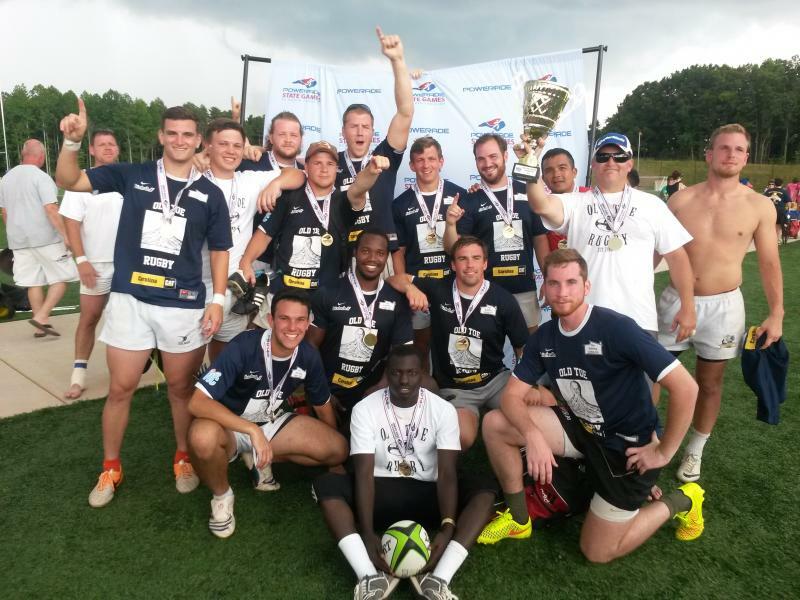 As the Mecklenburg County Sportsplex venue develops to accommodate a 7,000-seat stadium & 12 multi-use fields, we foresee the Queen City 7's tournament to eventually be one of the largest rugby 7's tournament in the USA. Click here for Registration and all other event information! 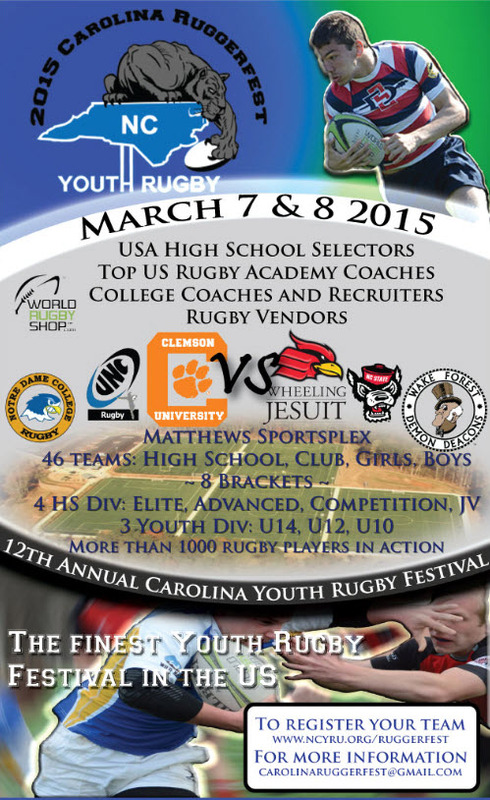 Upcoming 2015 NC Youth Ruggerfest!!! Get additional details from the NCYRU website!! Update - Upcoming Level 1 Referee Course - Sunday, March 22nd, 2015! Anyone interested in pursuing refereeing at any point in the future is encouraged to attend, as you only ever have to take this course once. Update - Upcoming Level 200 Coaches Course - Saturday, September 20th, 2014! 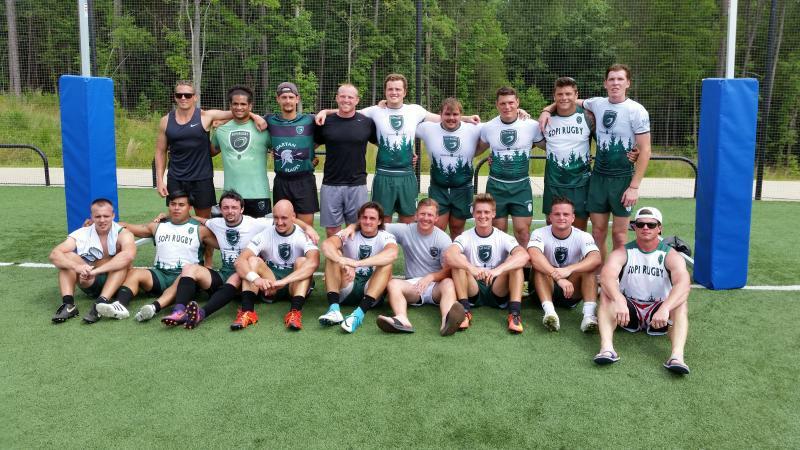 Josh Sutcliffe will be leading a Level 200 Coaching Course, hosted at the RAC (Rugby Athletic Center - 3722 South Tryon Street, Charlotte, NC) on September 20th. Click here to see all of the photos!! Wed 08/20/2014 - From Bill Smith (Executive Director GGCC, USA) - Hello guys! I have recently returned from Kenya leading a mission trip to GGCC (the Christian boarding school that I work with in ministry now). 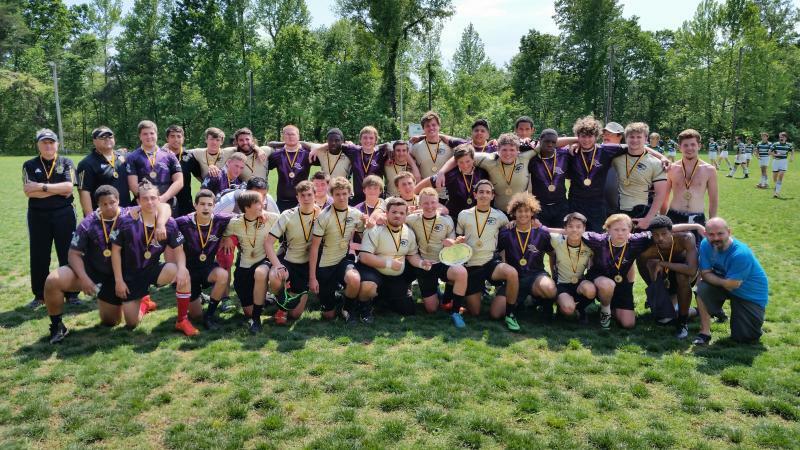 You all were instrumental a few months back in donating some rugby jerseys and securing other items for the new team that started at the school! I specifically had the guys get in the jerseys and uniforms to take some photos to give you as a sincere thanks. I have attached these for you, and truly want to thank you for this special donation! Rugby is one of the fastest growing sports in Africa, and in Kenya they are so excited. These guys were simply overjoyed to receive such gifts. Blessings to all of you! The coach also had the guys write letters to the Providence team. I will hand deliver those letters at your convenience! 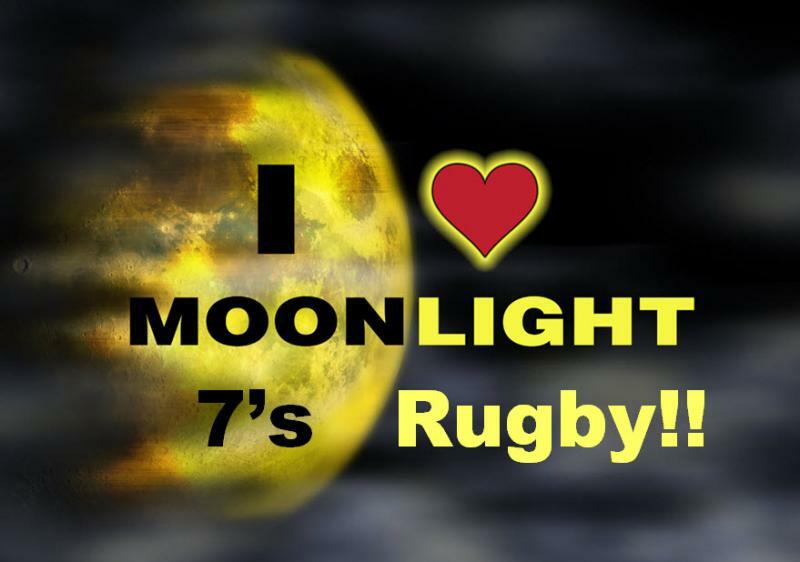 Congratulations To The 2014 Moonlight 7's Rugby Champions - Carolina United!! 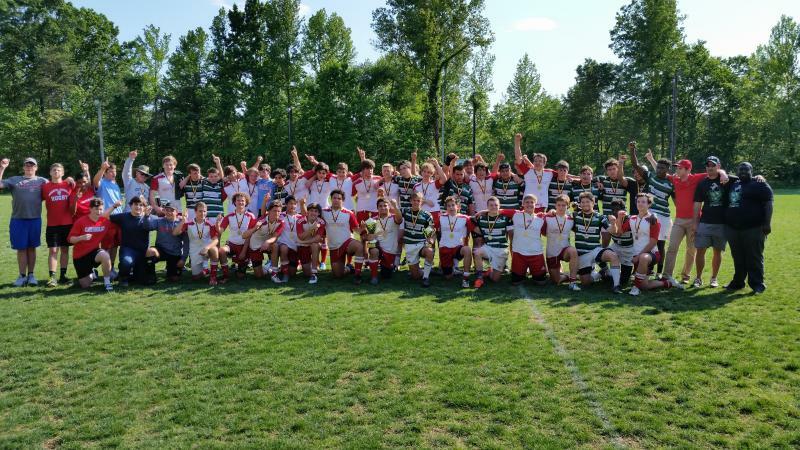 Thanks to all the teams who participated (especially Greensboro who travelled the furthest!) and for Rocky River HS for hosting the event! Click here to see all of the results and photos!! 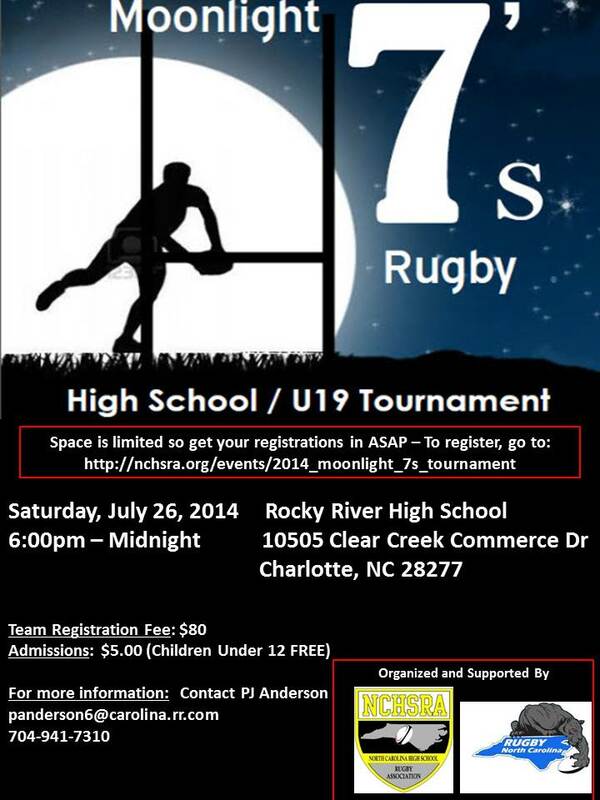 Upcoming U19 Moonlight 7's Tournament - Rocky River High School, 26th July, 2014 - 6pm - midnight!! Check out the latest details and playing schedule here!! 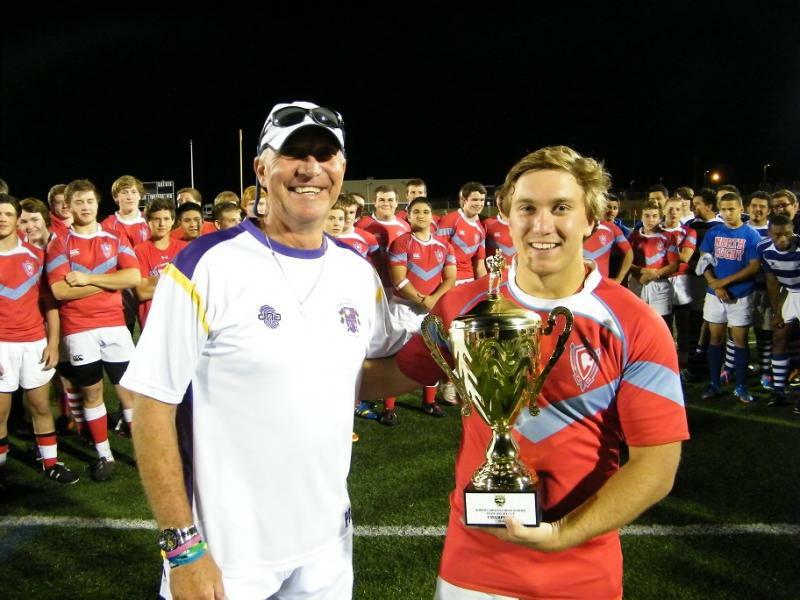 If you haven’t registered your U19 team yet and you would like to be part of this exciting event, please CLICK HERE!! 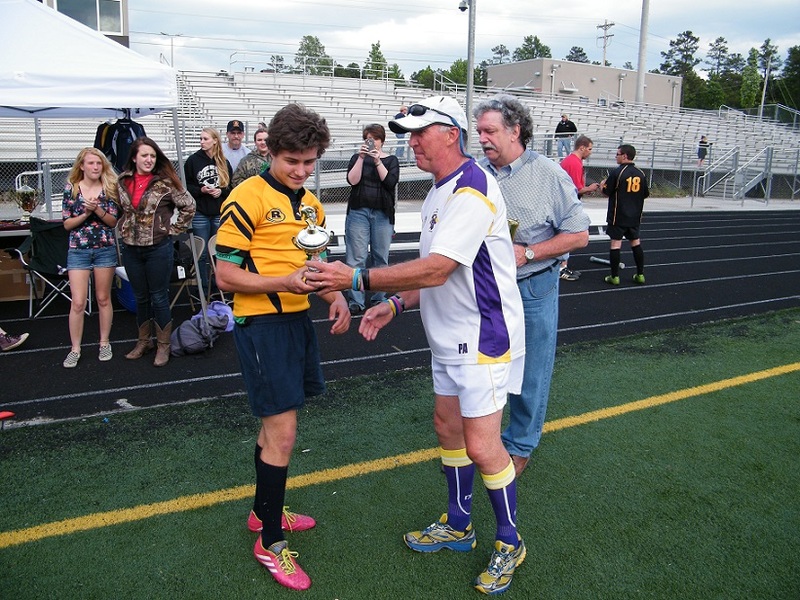 Upcoming Level 1 Referee Course - July 20th - Asheville, NC! A Level 1 referee course on July 20th is now posted for sign-up. The total cost for the day will be $75. We will collect $25 on the day to cover admin, lunch and snacks. You know you want to be a referee! Upcoming Level 200 Coaches Course - September 20th - RAC! Josh Sutcliffe will be leading a Level 200 Coaching Course, hosted at the RAC (Rugby Athletic Center) on September 20th. We have a bunch of coaches within our ranks that want to get certified and no doubt there are other coaches throughout NC who need/want to get certified. 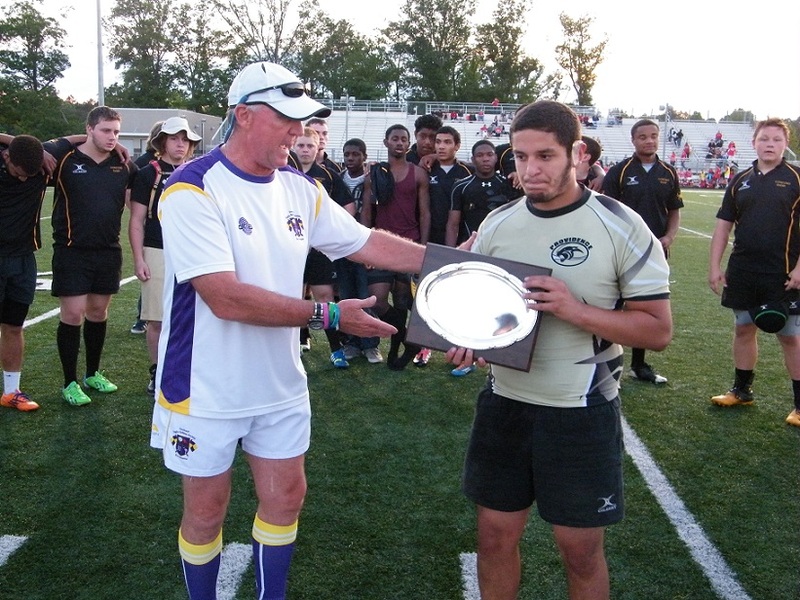 When USA Rugby posts the link to register we will provide more details and the link to register. Please feel free to distribute this and invite any coaches who you think would like to join us. 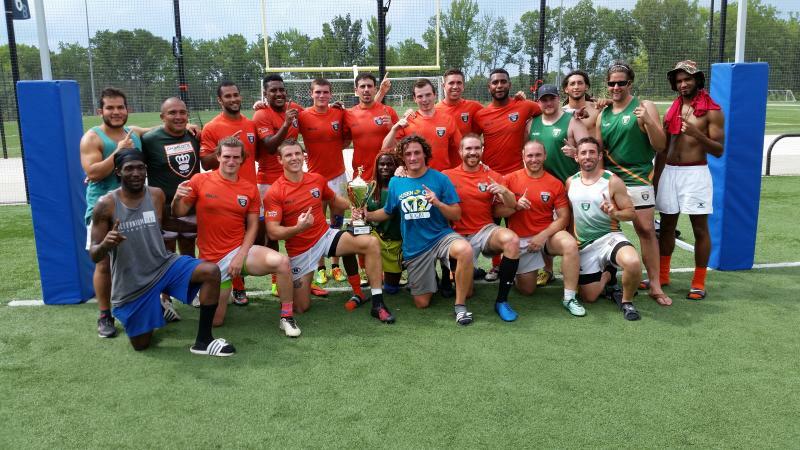 Check out the official scores and results of the Queen City 7's rugby tournament, here! 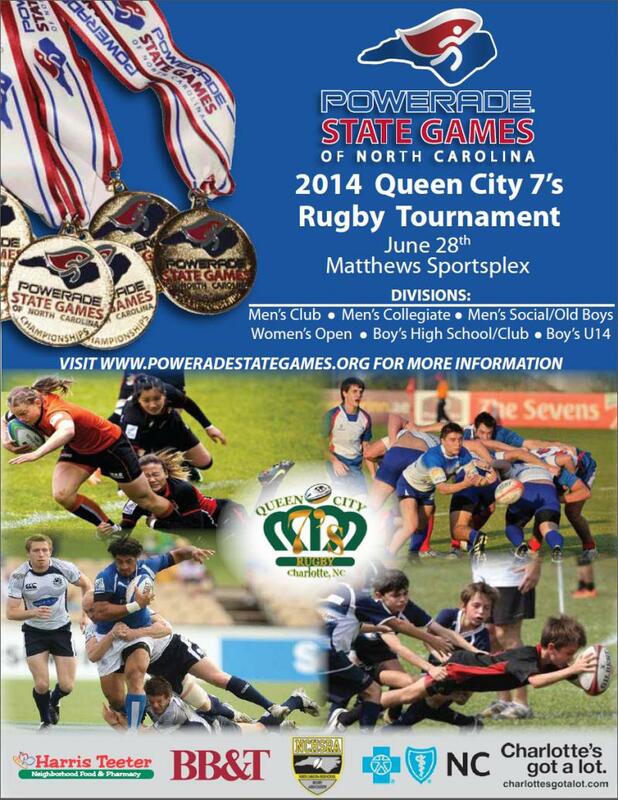 2014 Queen City 7's Rugby Tournament - Coming up on 28th June, 2014!!! Check out all the excitemnt, details and sponsor information under the Events link!! 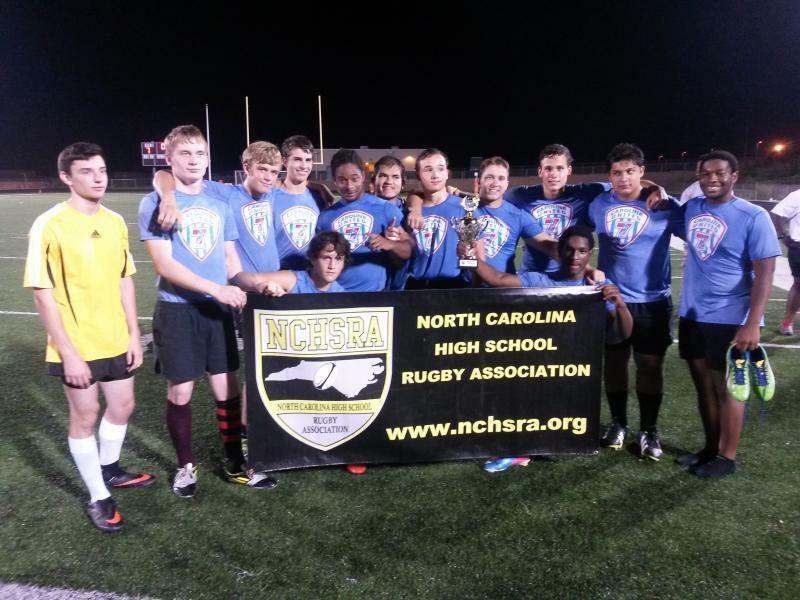 NCHSRA Reaches Out To Assist A High School Start A Rugby Team In Kenya, Africa - 05/21/2014 Update! Working together with Gethsemane Garden Christian Centre (Mfangano Island in Lake Victoria, in Kenya), NCHSRA has donated (with the support and permission from Providence High School) a used set of "Hoggs" rugby jerseys as well as jackets for the rugby coaches! - see News and Highlights section for more details! Here is a picture of the team wearing the jerseys!! 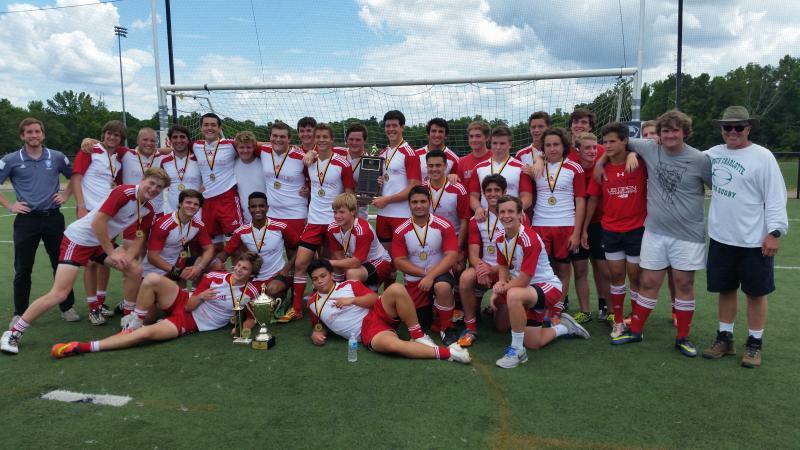 Congratulations To The 2014 Cup, Plate, Bowl and Shield NC High School Rugby Champions!! Click here for some team photos!! 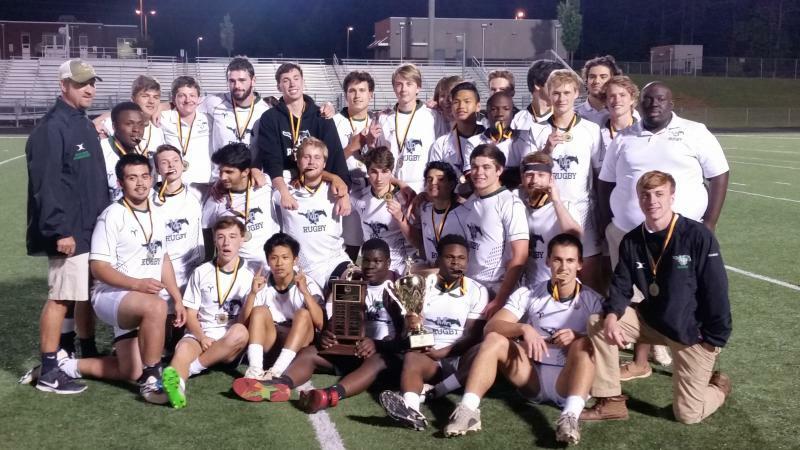 Check out the final 2014 season results and playoff schedules!! Referee assignments can be found at this link. 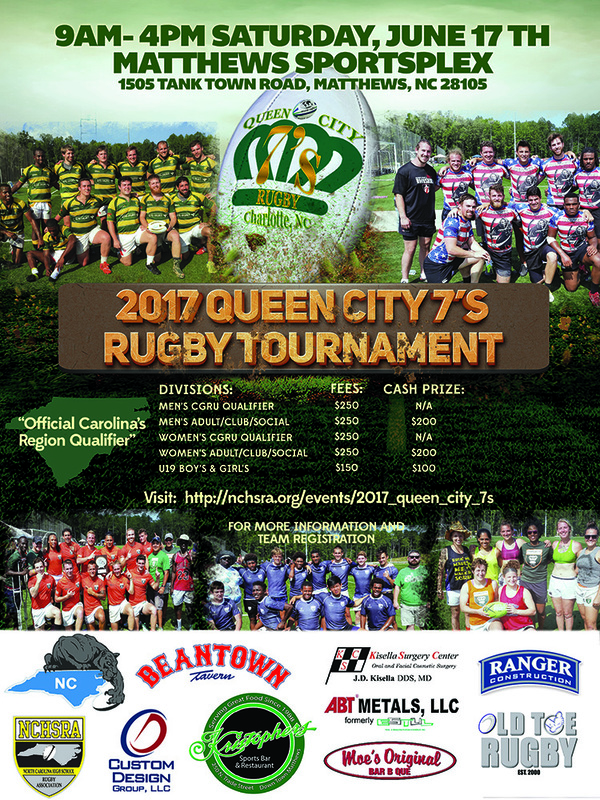 Register to Play in the Upcoming Queen City 7's Rugby Tournament!!! 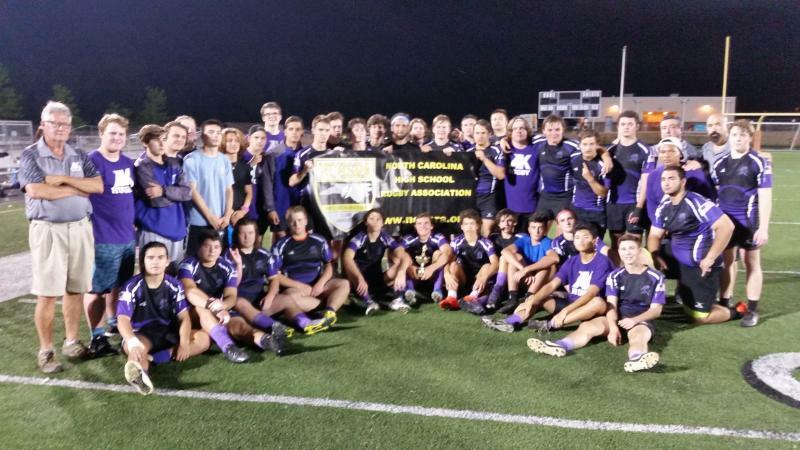 NCHSRA Reaches Out To Assist A High School Start A Rugby Team In Kenya, Africa! 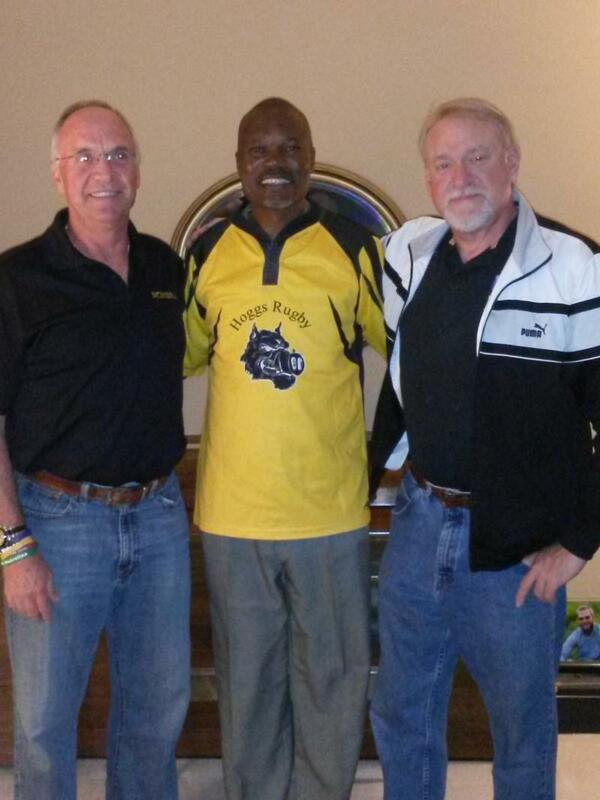 P-J Anderson, Naphtaly Mattah (Executive Director of Gethsemane Garden Christian Centre) and Jeff Greene - handing over the Hoggs Rugby jerseys for the new high school rugby team in Kenya! 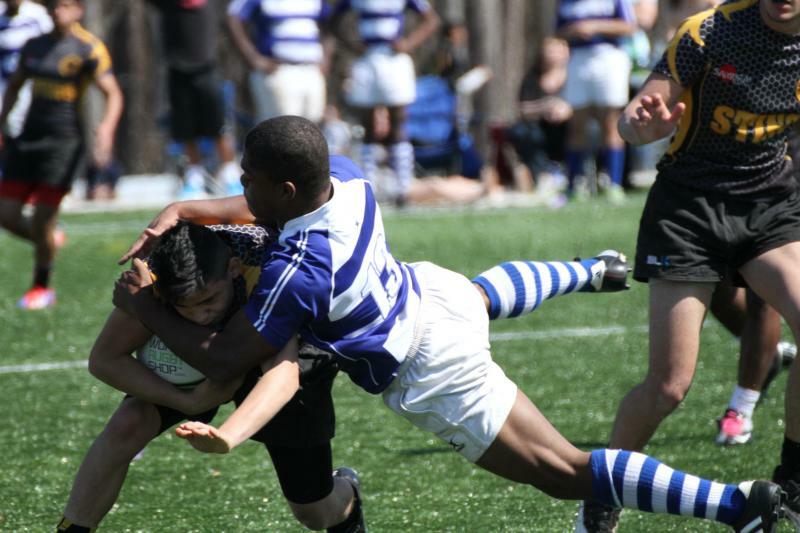 Becoming a referee is fairly simple.To get started, sign up for a Level 1 Referee Course (L1) on the USA Rugby web site.The L1 course includes prerequisites to complete on line certificates on the basic laws with video clips of recent matches, concussion awareness, safe sport, classroom discussion and practical drills. Note: if you are a SCYR Member and experience difficulties registering form this course, please email <rdo@scrrs.net> with your name and membership number. USAR will reply with a username and password. USAR Membership (link). Or go to www.usarugby.org and follow the steps for membership. Choose course by clicking (here). If there are no current courses listed in SoCal, Perhaps NV or AZ will have one listed. If the link is not working for you after logging in, check the left hand menu items, select “Events”, “Clinics”, “Referee” and a list of scheduled courses should appear. There is a fee that may be paid on-line. Please email rdo@scrrs.net if you have any questions. Log in or register with Who’s the Ref (link) and update your availability.